We are planning to make more DVDs of remote, beautiful places. 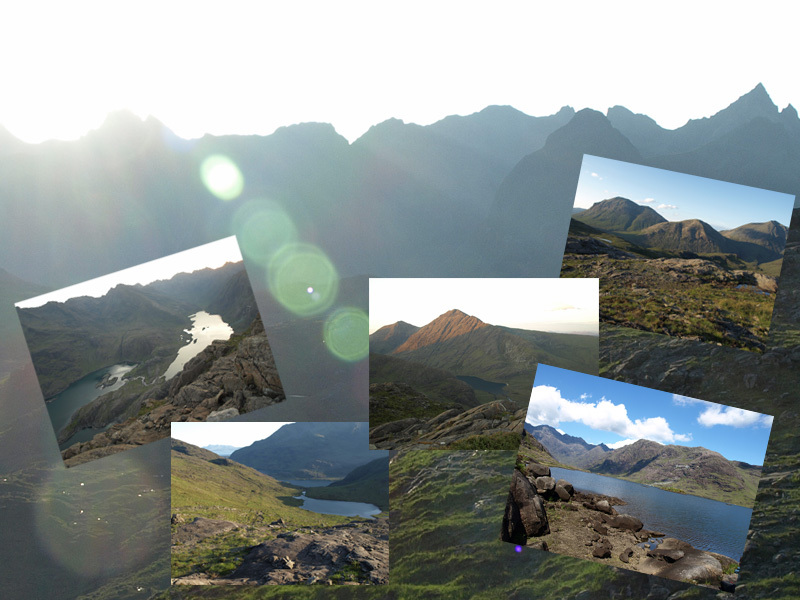 This summer we were filming around the Southern Hebrides (fortunately before the summer rain arrived!) and will be posting updates here as we complete the edit, record voice-overs and do all the other tasks between filming and finished DVD. Our next destinations are likely to be the Isle of Skye, and Sutherland and Assynt in the far northwest of Scotland. Skye is well known for the Cuillin, but there are many other hills across the island and its neighbour, Raasay, which may not be as high but are challenging and much less visited. And the same can be said of northwest Scotland. The names are well known - Ben Hope, Foinavon and Suilven, but the hills themselves see far fewer walkers than those further south. We will post more details here and in our email updates. And whilst you are waiting for the DVDs, please enjoy these photos of Scotland.